Make sure to come see this one today!! 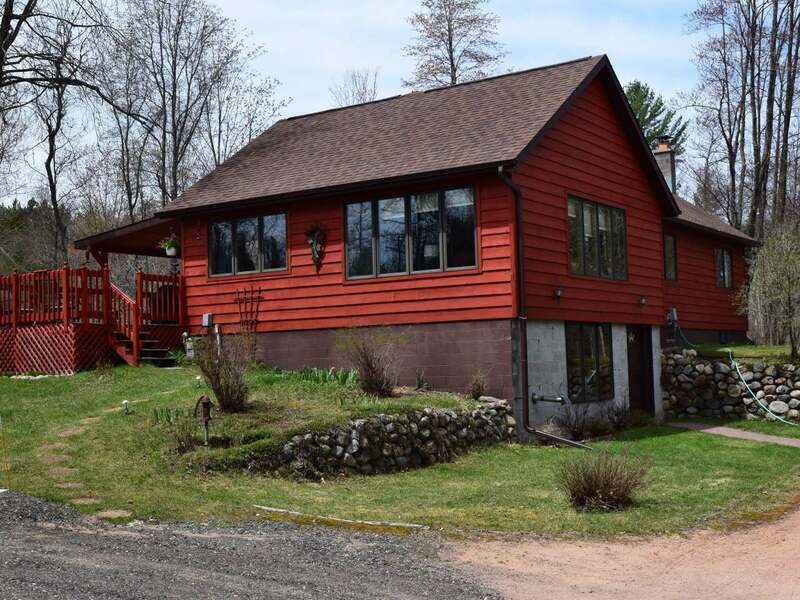 This Cedar sided 3 bedroom, 2 full bath home with a large detached 32x36 garage is located on 13.70 acres. As an added bonus, the far North West property line touches the edge of the Newbold Creek providing access to the Rhinelander Flowage! Some of the many updates include seamless gutters, a new well pump, a new water heater and a new roof. The walk out lower level includes a family room and large utility area. On those warm nights, sit and relax on the large deck accessed by the patio door in the dining area and take a dip in the 24 foot swimming pool which includes the solar heaters and accessories. Or on those chilly nights, there are both a pellet stove and a wood stove to warm you up! Schedule your appointment today, this one won&apos;t last long!